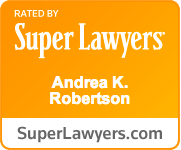 Superior Court Agrees Trial Court Was Correct To Dismiss DUI Charge: A Superior Court judge agreed that the trial court correctly dismissed a DUI charge. The Court ruled that the trooper's investigation of the client was unlawful where the client was parked safely in a transit zone off a highway, and showed no signs of being in danger or distress. The Court refused to rule that the trooper had authority under the “community caretaking” exception to the warrant requirement to investigate the client.